I was paging through the September issue of everybody cooks, the free publication put out by Dierbergs markets every month, and found a recipe that caught my eye by its name alone: Sticky Bat Wings. Place chicken in large freezer-weight reclosable plastic bag. In 2-cup glass measure, combine remaining ingredients. Reserve 1/4 cup. 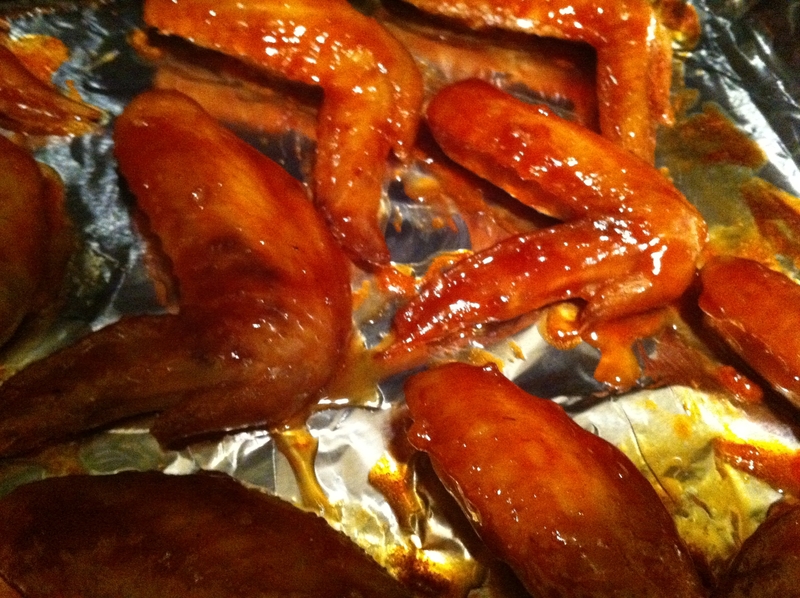 Pour remaining mixture over chicken; seal bag and turn to coat wings. Place bag on plate and marinate in refrigerator overnight. Remove chicken from bag and place on foil-lined jellyroll pan; discard marinade. Bake in 375 degree oven for 20 mintues. 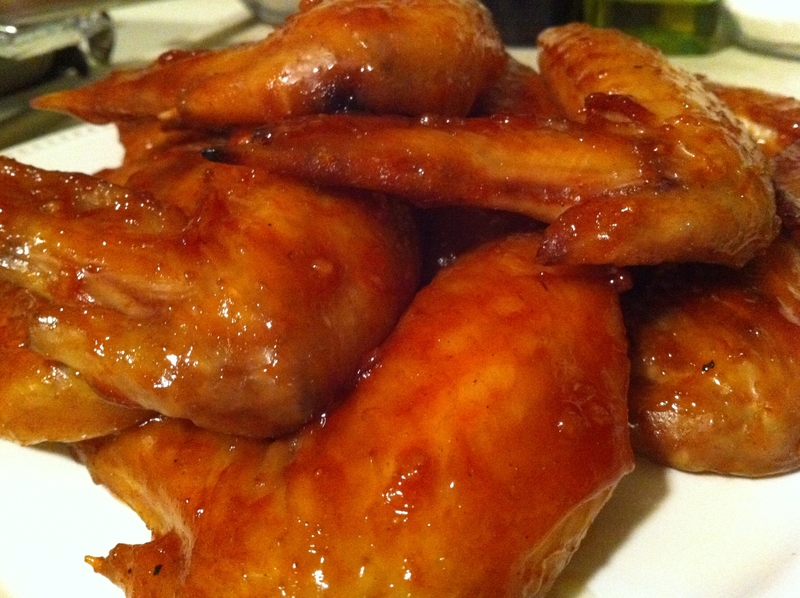 Brush reserved marinade over wings; bake until browned thoroughly cooked, about 20 to 25 minutes. Serve additional hot sauce on the side. Makes 8 servings.